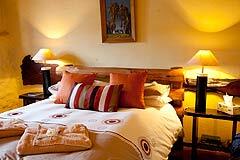 Oudtshoorn Guesthouse | Overnight Accommodation on the Cango Caves road. Hendrik z´n huisje Kamer 1 (Dutch for "Hendrik´s cottage") offers two single beds with a cozy reading nook by the old fireplace with its Welcome Dover stove. 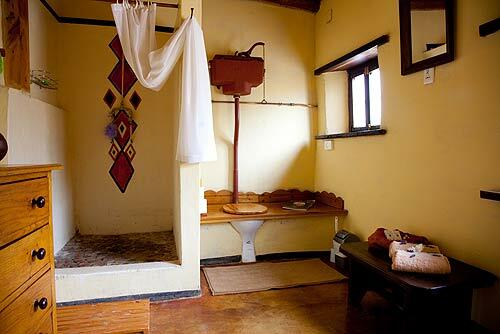 The cottage is full of interesting features - a bellows for a coffee table, a bathroom mirror with a difference and even an old yank-the-chain WC. 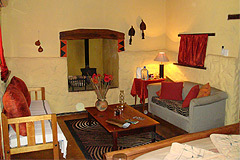 All this detail speaks of the loving attention with which this cottage was furnished. 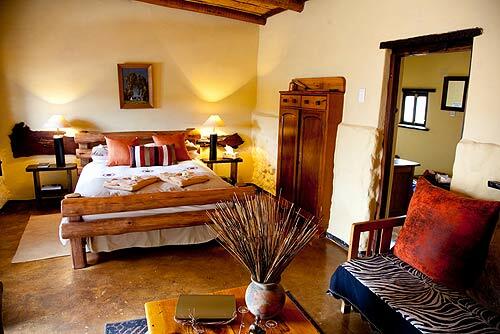 With the shutters opened onto the surrounding stoep (porch), it feels so homely that you feel like leaning over the stable door as if you´ve been living here for years. 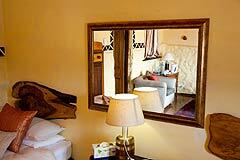 Hendrik z´n huisje 2 is a double room with a cosy living room by the nineteeth century wood-burning stove. 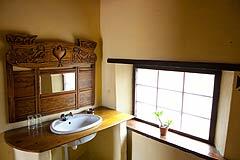 As you look at the imaginative olde worlde interior decorating - wide window sills, a "built-in´ cupboard and the wooden bathroom table - your mind will unwittingly wander to an era when things were somehow simpler. 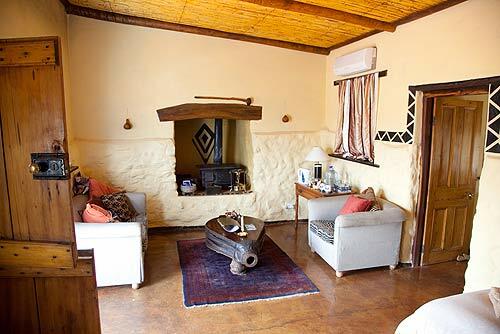 The broad stoep (porch) is the perfect place to appreciate the view over Schoemanshoek´s green lucerne fields and ostrich farms, or to listen to the birds chirping away in the garden. 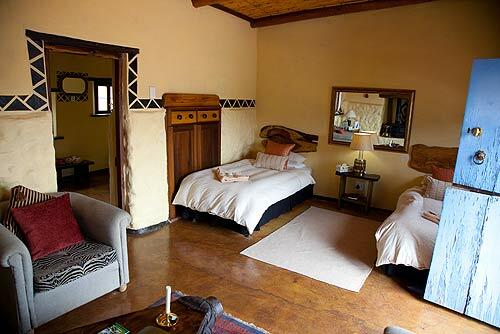 Don´t forget: Although Hendrik z´n huisje´s two units are completely separate, it is ideal for a family of four.